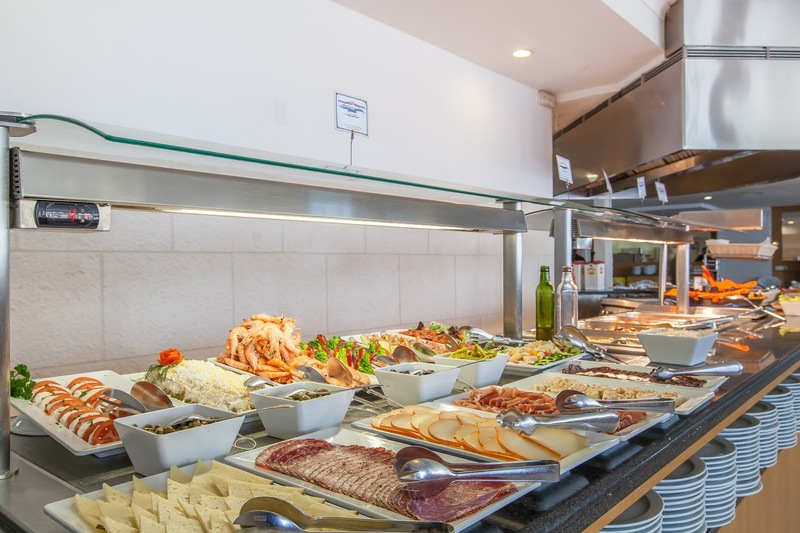 Start your day during your holidays in Mallorca with a complete buffet breakfast where you will find a broad range of handcrafted products and a show cooking service. You will be able to enjoy eggs, pancakes, bacon and other products cooked to order. Breakfast is served every morning from 9 AM to 10 AM in our spacious and bright restaurant overlooking the Bay of Palma. Horizonte Restaurant Joan Miro opens everyday from 1 PM to 3 PM for lunch, and from 8 PM to 10 PM for dinner. The buffet includes a broad and diverse selection of cold and hot entrees as well as a show cooking service for you to enjoy the best meats and fishes, just cooked. We also offer theme evenings in Palma which Italian, Mexican or Asian food are the protagonists, in addition to our excellent outdoors barbeques in the Summer. You may also want to make reservations for our romantic dinners in Palma with a view of the Cathedral of Palma and a delicious five-course menu.Sundays come and try the best Majorcan buffet with dishes typical of Palma de Mallorca. Our PanorAmic Bar is the ideal place to relax and enjoy a cup of coffee or a drink in Palma after work, enjoying an amazing view over the Cathedral, the Bay of Palma and the Port. PanorAmic Bar also offers a complete snacks menu to enjoy a bite to eat or a light meal at any time of the day, always with pleasant background music and the best selection of national and international drinks. As night falls, it is the ideal place to enjoy a glass of wine, a mojito or any other cocktail, dance at the disco or marvel at the sight of the night city lights with the Cathedral at the horizon and the incredible cruise liners docked at the Port of Palma. 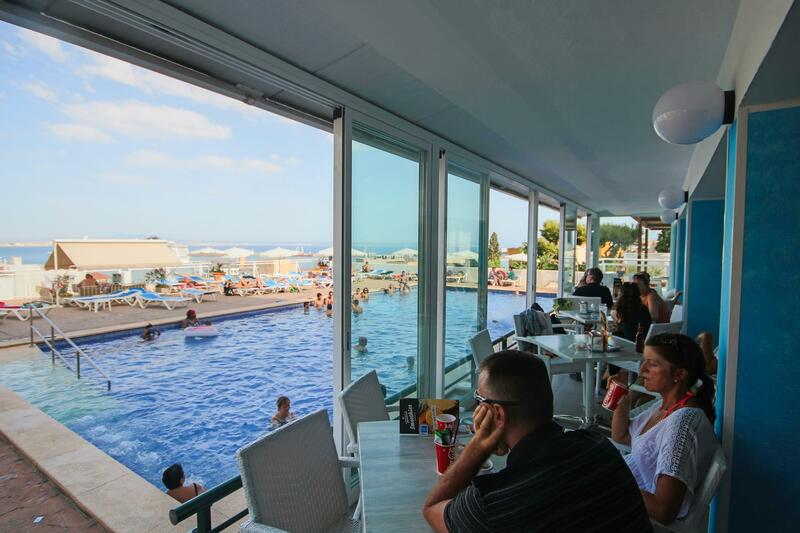 Hotel Horizonte’s Chill-Out Bar is by the swimming-pool, and features a complete snacks menu to enjoy a bite to eat or a light meal at any time of the day. At night in Palma, it is the perfect place to enjoy a broad selection of national and international drinks, pleasant background music and the best views of the Bay of Palma. By the swimming-pool, you’ll also find Balinese beds to lay down and enjoy the views sipping a wonderful mojito, or any other of our cocktails.